Haris Vučkić on Real Madrid, AC Milan, Newcastle and the League Cup. | NUFC Blog. Haris Vučkić on Real Madrid, AC Milan, Newcastle and the League Cup. Perhaps the most talented of Newcastle United’s crop of young talent waiting in the wings, Slovenian, Haris Vučkić, has been speaking on his life at Newcastle United. He spoke of the interest shown in the young star from the likes of Manchester United, AC Milan and Real Madrid, Newcastle United’s League Cup tie with Arsenal tomorrow evening, and life at Newcastle in general. “If Manchester United or Real Madrid are watching you, it tells you that you are doing the right things, but it won’t disturb me. I’m only thinking about Newcastle in the future. “Newcastle for me is the best choice – everything’s OK. The training facilities are the best, and everybody treats me very well. I want to stay here for a long time. “This is a football-mad city. When I go into the city, sometimes people recognise me and ask me for my signature. “I hope to play my best if I get on to the field. I always try my best whatever game I play in, whether it’s the reserves or the first team. “It was a good experience to play at Stamford Bridge against the biggest team in England and win. “Now the younger players are hoping to stay in the Carling Cup as long as we can. I loved in the original article in the Chronic when Haris talked about watching Ronaldo when he was at ManU. He admitted that Ronaldo definitely wasn’t his role model, but only respected his playing ability. Love it! Try telling him that a good cup run isn’t important, phhtt!! As i’ve said before on here, got a relative who works for the club as a trainer and he says he is by far the best talent we have had there in years. Just cause he hasn’t shone in a couple of games that have been on tv doesn’t mean he wont make the grade, as some of our arm chair pundit fans have inferred. When people talk about making the grade it is all to do with their quality on the ball, and Vukic has just that, he’ll be coming through soon. 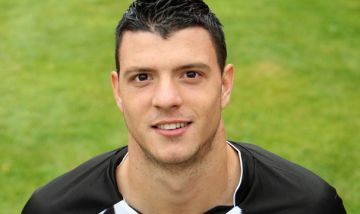 With the formation and players that Hughton has been using lately, I really don’t know why Vuckic wasn’t loaned out for at least the half of the season to a footy-playing Championship club. Oh well, we at least get to use him in the cup games! He’s absolutely spot on, well, until Ben Arfa showed up. When I first saw him, he just seemed to have the “gait” of a great player and I could see his potential very quickly. Actually, it was a bit like the first time I saw Pedro. Obviously I’m not about to judge him on a couple of dodgy games, but I’d read so many glowing reports about the lad and was genuinely excited to see him play, so it was a bit gutting to see him completely upstaged by a wee unknown 17 year old from Chelsea. TC – That wee unknown has feature in the Champions League and such aswell to be fair……. It’ll be good for Kadar to get a game, he’s become somewhat a forgotton man this season. With Tayls and Campbell coming back I think his only chance this season for the first team will be if Enrique breaks down. If we get through to the next round it means we will have probably 2 top CB’s available which is good. great points on Kadar, DJG. I really thought that he looked more than capable whenever playing last season. It will be interesting to see how he handles Arsenal’s boys tomorrow. Really hoping to see Ranger start up front as well. How much do u think Beardsley & Stone help out Hughton when making decisions for these kind of games? worky so when will toonsys 500th be up ? Furry muff, toonsy – didn’t realise that McEachran (spelling?) had played Champs League like. I’d never heard of him before. He looked like a proper talent though. TBH so far couldn’t recall any outstanding performance that matches up to the hype around him yet. But to be fair, how many games has he started anyway. I’d assume McEarchan is about as known as our own Vuckic..
To be honest, this is the fault of others for bigging him up as some sort of wonder kid and you for believing it, and thereafter, having inflatd expectations. The lad has the quality to be in the first team, easy, but he is not some ‘wonder kid’ who skins people for fun or does fancy tricks to get the crowd going. He is just simply a young lad who has the quality in his all round game to play at the top level. He will be in the first team next season I reckon, Nolan type of role. What’s the big deal with Paul the octopus, not the first bloke to die in a tank in Germany. He put in a couple of good fouls last time out. I think I am noticing people are wanting Ranger and Vuckic up front tomorrow night. Xisco Best and Airey have their supporters too but not many shout outs for Lovenkrands. Aye those refs are gonna stamp out fair play brother.